Kelly clerked for the Honorable Daniel Friedman of the U.S. Court of Appeals Federal Circuit and practiced law in Chicago. 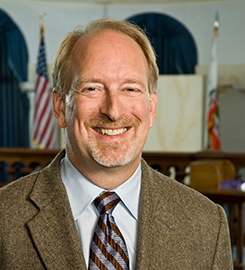 He joined the USD School of Law faculty in 1988. Kelly served as articles and administrative editor of the Michigan Law Review. Remedies: Cases, Practical Problems & Exercises, no. 3rd (with Weaver, Partlett, and Cardi) (West Academic Publishing, 2014); Principles of Remedies Law, no. 2nd (West Academic Publishing, 2011); Inside Contract Law: What Matters and Why (Wolters Kluwer, 2010); “The Phantom Reliance Interest in Contract Damages” in 92 Wisconsin Law Review 1755 (1992); and “The Rightful Position in 'Wrongful Life' Actions” in 42 Hastings Law Journal 505 (1991). Submit changes to Michael Kelly's profile.